Few things can throw you off your game quite like a headache. Because we usually treat headaches as minor nuisances, we usually do our best to suffer through them, whether we’re at work, home or at a social event. But severe, painful headaches can have a detrimental effect on our mood and our ability to get through the day. Severe headaches can linger for days. Many conditions, acute and chronic, can cause pain of this kind, and sometimes paracetamol just isn’t enough. 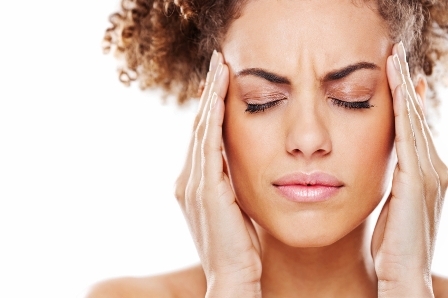 While headaches can certainly be tough to cope with, migraines are often much worse. Aside from the agonising head pain, migraines can also cause loss of vision and a host of other symptoms. For some sufferers, certain things which can trigger migraines, such as hormonal changes in the body, anxiety, lack of sleep, or the consumption of certain foods. When suffering from a severe headache or migraine, it is vital to ensure you don’t do anything which might cause further aggravation, such as working at a computer screen, drinking caffeine, becoming dehydrated, or entering into potentially stressful situations. For severe headaches, pain relief is available in the form of NSAIDs, such as Ibuprofen, and other painkillers, such as Co-Codamol. Treatments which are also intended to specifically combat the effects of migraines are also available. You can buy Relpax online from Pain Relievers UK to help soothe symptoms and relieve pain. Many pain relief treatments are not suitable for everyone. For these sorts of treatments, prior consultation with a doctor is essential, and migraine relief treatments are intended for very specific purposes. For that reason, you should always be screened beforehand to ensure you are not at an increased risk of suffering harmful side effects. Want more information? Learn more about Codeine, Co-Codamol and Tramadol, or buy them today from our partner pharmacy in the UK. All orders we fulfill are sent by tracked, next-day courier. If your order reaches our pharmacy on weekdays by 3 p.m., it will be shipped the same day. For your safety and privacy, all shipments are made in secure, sealed bags. Our delivery packaging is discrete and will never feature advertising. It is important to use a website you can trust. When you order from us, you will be presented with a medical questionnaire as part of our online consultation process. A qualified GMC-registered doctor will review your answers, and if they approve your order, issue you with an electronic prescription. This will then be passed on to our dispensing pharmacy, based in the UK.